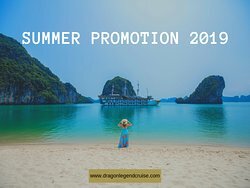 Tours from The Au Co Cruises tend to sell out - travelers recommend booking in advance! The crew went above and beyond to give us the best experience we could have on a cruise. Loved every second of it. Would recommend to everyone! 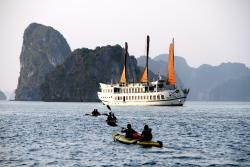 There were hundreds of cruise operators in Halong Bay but Auco Cruise stood out from all of them because of the Crew. 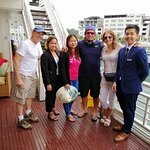 Special thanks to Joy (Cruise Manager) and Jay (Guest Relations officer). 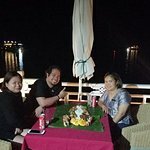 They went over and beyond to ensure we had the best 3 days and 2 nights of our vacation in Vietnam. 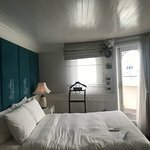 Unbelievable luxury at every turn - superb food, astonishingly attentive service - all with the backdrop of one of the most amazing places on earth. Joy and her team delivered a never-to-be-forgotten experience. My husband and I did the 3 day 2 night cruise in January 2018 for our honeymoon. 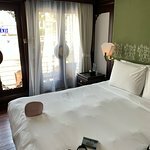 We were upgraded from the Bhaya Classic and it was a wonderful surprise! The food was absolutely amazing and perfect every meal! Our room was beautiful and everything we could ever imagine. 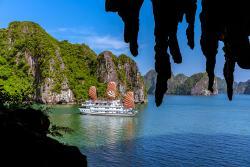 Our only disappoint was trying to experience Halong Bay. In order to get the fullest experience, you could not really enjoy everything. It does not mean that anything was bad but the schedule was jammed pack. I would maybe recommend a longer cruise if you have the time. There's so much to see and we feel like the cruise only gave you a bit of what's offered. It was also weird that there was no mention of our honeymoon. It was the only accommodation on our trip that did not have recognize it but the upgrade more than made up for that! We cruised for a 2 night stay and so happy that we did! 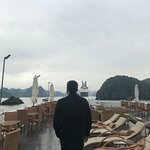 Halong Bay is absolutely stunning and serene but what really made it perfect was the Cruise Manager Kevin and his lovely crew. They treated us like royalty while at the same time we felt like they were our friends. Every meal we had was of the highest quality and beautifully presented. If you go make sure to take advantage of the kayaking and biking, well worth it! Our room was well appointed and very clean. We highly recommend! Everything about the cruise was just AMAZING! My boyfriend and I booked the cruise for 3 Days 2 Nights, and we felt that this was the perfect amount of time to spend on this cruise. The one thing that stood out from the Au Co was each and every one of the crew members. The staff on the Au Co cruise were exceptional and extremely meticulous to detail. From the bar tending to the kitchen staff and from the housekeeping to management, every member took pride in their work and definitely showed what “Service from the Heart” means. A huge thank you to Jay, our Guest Relations Manager on board for his remarkable effort to make every activity run smoothly and every moment on board an exceptional one. My largest concern whenever I stay overnight at a hotel is the cleanliness. The Au Co cruise definitely nailed this side of my criteria! The washroom was clean and the showers were hot! My boyfriend and I stayed on the 2nd floor of the ship, and the view from our room balcony was phenomenal! That was definitely the highlight of our cabin space. The food was excellent. 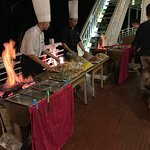 Most of the meals were set but on the first night, we had a barbecue buffet dinner. The barbecue dinner was my favourite meal of them all. Having most of the meals being set meals you can really tell the food quality of these meals are much better than regular buffet meals you have at other hotels or cruises. One of my only concerns during these set meals were the time between each dish. The service time took a little longer than usual but that’s a small price to pay for quality! 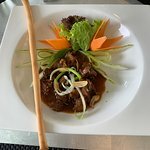 Other than that, the food and the quality of each dish was great! The activities on board and off board were great. Our favourite part of the off board activities was biking around Dao Cat Ba and kayaking around the floating fishing villages. 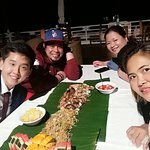 The on board fruit carving and master chef competition was also a memorable part of the cruise. Some improvements for off board activities I would add are jet skiing or speeding boating instead of having two sessions of kayaking on the two different days. Those activities would have brought the cruise to the next level! 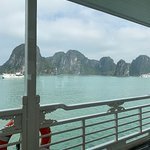 To sum it up, the Au Co cruise is one the best cruises in Ha Long, from the exceptional service to the phenomenal meals. 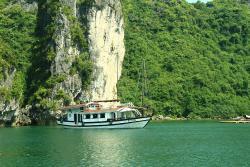 We highly recommend booking this cruise for your next tour in Ha Long Bay!